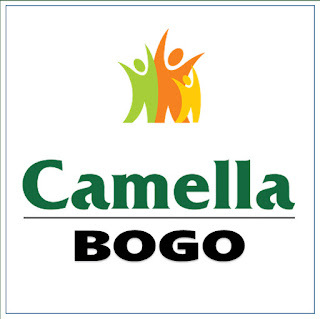 City of Bogo: BOGO's Cityhood with 16 others, reaffirmed by the Supreme Court??? BOGO's Cityhood with 16 others, reaffirmed by the Supreme Court??? The Supreme Court had upheld its earlier ruling allowing the conversion of 16 towns into cities, saying the conversion did not violate the 1987 Constitution. In a one-page resolution promulgated June 28, the court sustained its December 21, 2009 ruling and junked the motion of former Negros Oriental Rep. Jacinto Paras, who has opposed the conversion. "The court resolved to note without action, in view of the above denial, the aforesaid motion for reconsideration-in-intervention dated June 9, 2010 [of Paras]," the SC's resolution said. The League of Cities of the Philippines (LPC) had earlier asked the court to reverse its December 21 ruling, saying the 16 local towns were converted into cities without meeting the minimum locally generated income requirement of at least P100 million a year. Paras was one of the principal authors of the law that made Guihulngan into a city. However, he later supported the LCP's bid to block the conversion of the 16 towns because it was supposedly premature to upgrade Guihulngan into a city after graft and corruption allegedly became more rampant among local officials. “By converting Guihulngan into a city, movant [Paras] feels guilty of giving these grafters and unworthy local officials the opportunity to disburse the city funds to futile purposes instead of improving the health and education of the people. Such purposes are contrary to the noble purpose that movant envisioned when he filed the cityhood bill in congress," the former lawmaker said in his petition.